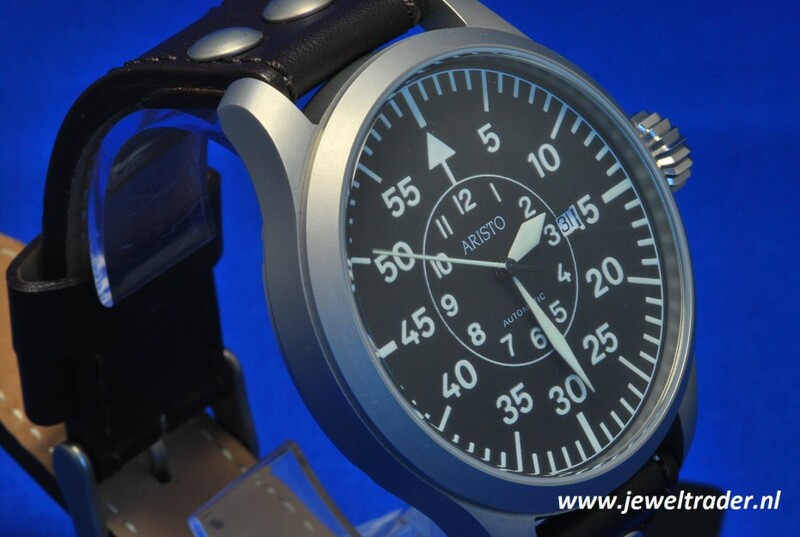 “Aristo” Pilot Fliegeruhr (ref. 3H132) . Uitgevoerd in edelstaal met bruin kalfslederen band, opengewerkte achterkant waarbij de automatisch uurwerk te zien is, met aanduiding van de uren, minuten, centrale seconde en datum aanduiding op de 3, zwarte wijzerplaat. Diameter van dit prachtige horloge is 47 mm. Horloge wordt geleverd met doos, papieren en 2 jaar garantie. "Aristo" Pilot Fliegeruhr (ref. 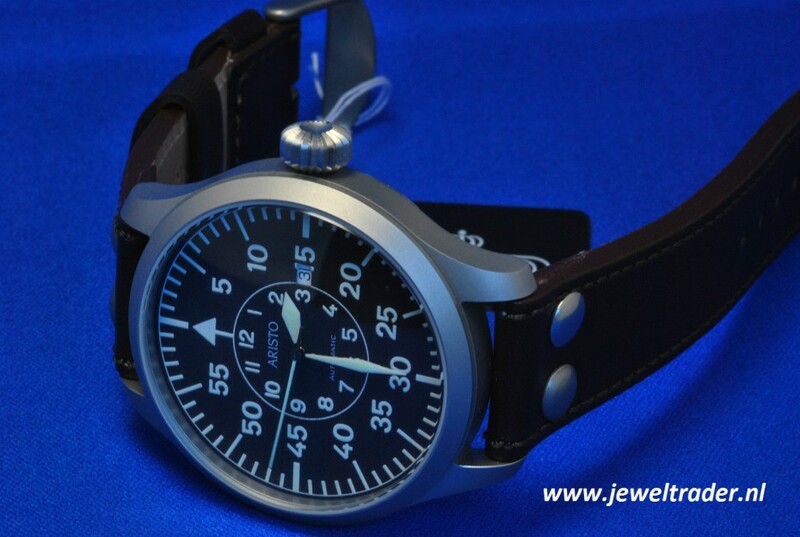 3H132) is modelled after the vintage Pilot watches used by the Pilots in WWII. Powered by the tried and tested Swiss Automatic movement. This watch is built to last. The simple and easy to read dial is perfect for everyday wear. 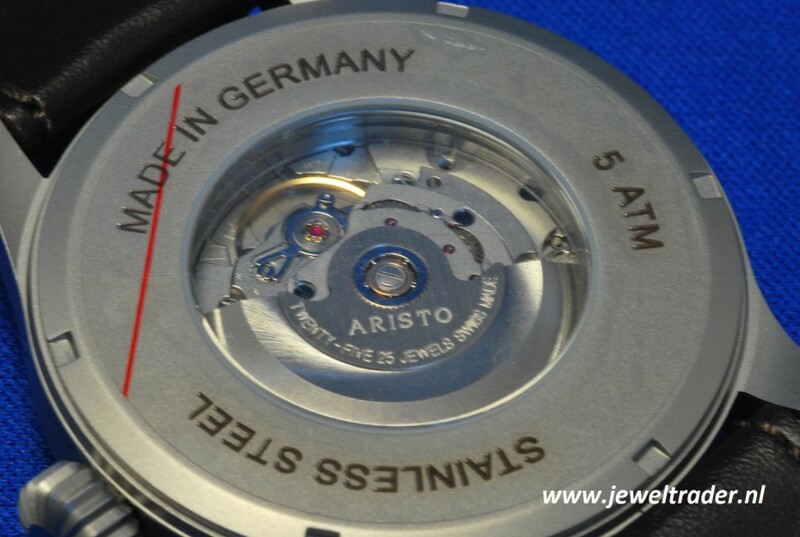 The stainless steel case is finished to a very high German standard. The stainless steel case is sand blasted to the right amount to give it the vintage looks. The short angled lugs aids in the wear comfort. What really sets this watch from the others is the XL Pilot crown. 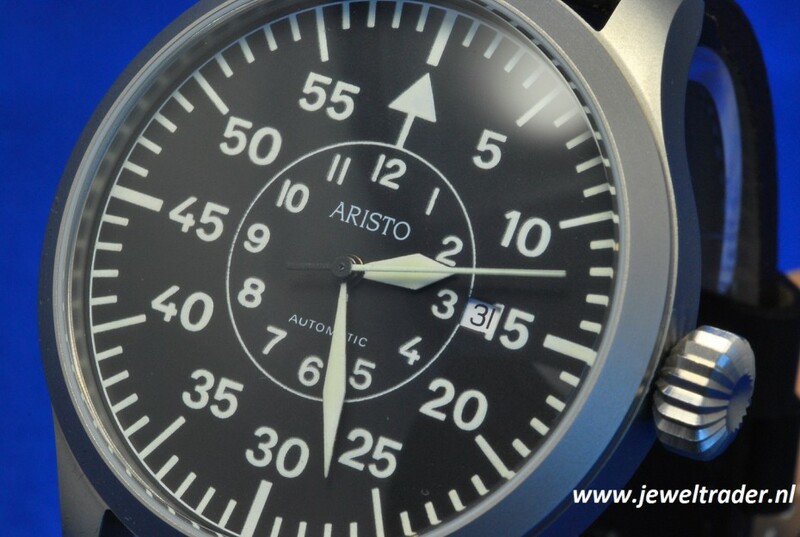 The display caseback allows you to admire the Aristo signed movement at work. The watch comes with a brown genuine calf leather strap with dual rivets. Comes presented in an Aristo box with stamped warranty card. 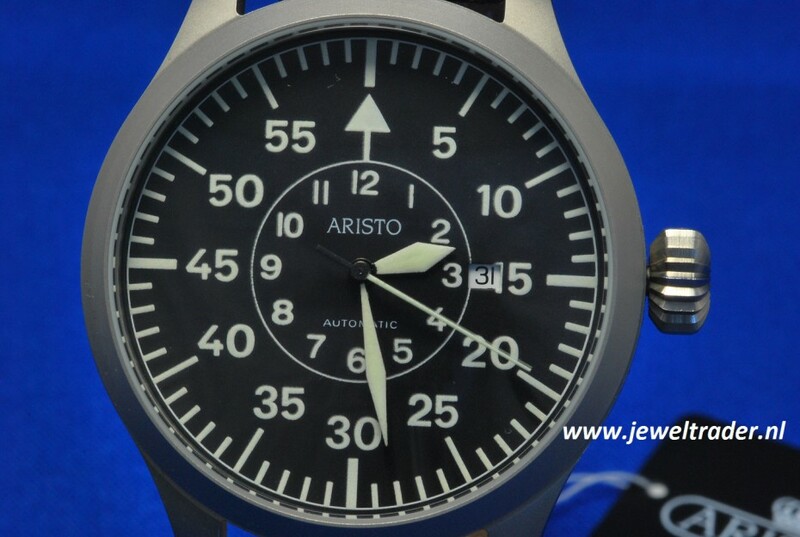 Watch comes with 2 years Aristo International warranty.